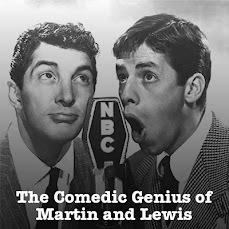 This time around on our Martin and Lewis Old Time Radio Podcast, from a September 16th, 1952 NBC Radio Network broadcast, Dean and Jerry welcome Rosemary Clooney to the show. Click here for the MP3 or subscribe for free at iTunes. It's the first show of a brand new season and new announcer George Fenneman joins the program. 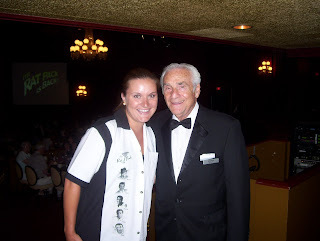 You might recognize Fenneman's voice from from the Groucho Marx game show You Bet Your Life. Dean sings Hominy Grits and Once In Awhile. 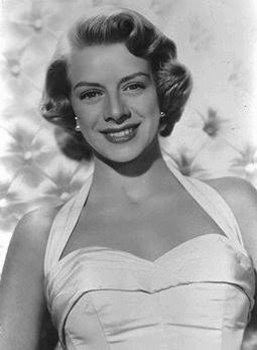 Rosemary Clooney sings her hit Botch-A-Me. There's also another wonderful sketch this week, The Greatest Schmo On Earth. Don't forget to check out the Offers Site for great savings from our sponsors including our eMusic FREE Trial offer. Also, visit my Official Website for links to all of my shows, special features and more.